2017 has certainly been a big one here at FLO Living! 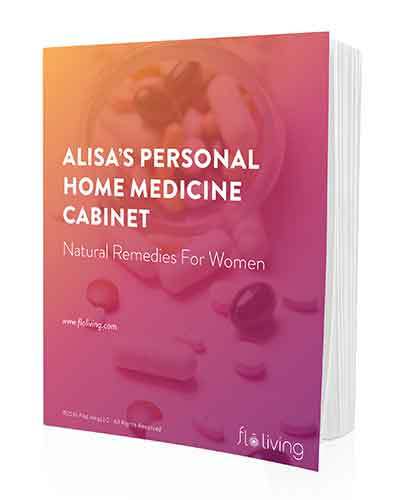 We released a one-of-a-kind app, made it possible for you to test your hormones from home with your saliva, launched an innovative line of supplements, reached unprecedented milestones, and helped scores of women finally, permanently achieve total hormonal harmony. I’m so proud of the life-changing work we’ve done this year, and so thrilled to see how many of you are enthusiastically enjoying our content! Whether you’ve been a loyal FLO Living fan all year or longer or you’re brand new to the site (welcome! ), I hope you take advantage of this list of our top articles in 2017 so you can easily access the material that matters most to our clients. Think of this as your year-end review and go-to resource to refer back to again and again. If FLO Living has made a difference in your life this year or ever, please spread the love and share this post with anyone you feel might benefit from our blog and programs! And don’t forget to leave a comment on this post to tell me what kinds of hormonal health topics you’d like me to cover in 2018! The best magnesium-rich foods for you cycle: If you have PMS, PCOS, fibroids, ovarian cysts, hormonal acne, irregular cycles, or any other endocrine imbalance-related issue, magnesium is one of your most important tools for full hormonal recovery. These are the top foods to add to your diet right now. 5 facts you need to know about PCOS: If you have PMS, PCOS, fibroids, ovarian cysts, hormonal acne, irregular cycles, or any other endocrine imbalance-related issue, magnesium is one of your most important tools for full hormonal recovery. These are the top foods to add to your diet right now. Can you bio-hack your period? 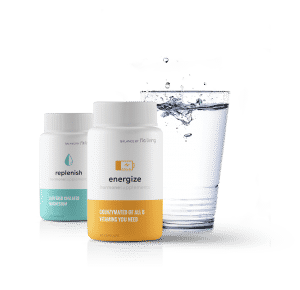 : Biohacking is simply the modification of micronutrients, diet and lifestyle to optimize the functions of the body’s biological processes. So can you biohack your way to a better period? Read this to find out! 5-period myths busted: Your first health ed class, biology books, glossy magazines, religion, family hang-ups: with all those factors, it’s nearly impossible to come out of young adulthood with a good opinion about your body and the female reproductive system. Here are five period myths you may not even realize are totally wrong. Why you need to do a hormone detox: I’m no fan of a quick fix, but I do believe in detoxing the right way. Learn the difference between a fad diet and a true hormonal reset. Natural remedies for HPV & cervical health: Getting an abnormal pap result can be scary, but in most cases, you can actually reverse your HPV diagnosis, treat it, and get rid of it — naturally. Here’s how. How to be successful at work – the secret is your cycle! : Women are cyclical in nature, and how we feel, as well as our strengths, desires, talents, and behavior shifts with our changing hormone patterns. Here’s how to make your hormones work in your favor. What can the color of your period blood tell you about your health and fertility: Menstruation is an overlooked, underutilized vital sign and just like blood pressure, can tell you a whole lot about the state of your health. Here’s what your flow says about your well-being. The 7 hormonal phases of your life: Many women expect their periods to be the same month after month, year after year, but in fact, there are seven hormonal phases you’ll experience over the course of your lifetime — here’s what to expect. Are you a health nut with wacky periods?:Paleo? Raw? Vegan? Gluten-free? And still having period problems? Check this out to learn why and what to do about it. Please leave me a note below and tell me what hormonal health topics you’d like me to cover in 2018 – what would you like to know more about and what are you curious to know of living in your FLO? I would really love to see a cool book come out that partners with you Flo app and you Flo program! It would be nice to see a general platform of recipes that are tried and true for supporting your Flo. ? Hi Katie, I have a book! If you have not checked it out, it’s called WomanCode by me, Alisa Vitti! There’s a lot of great info, recipes, etc that you can start to implement right away. Hi, I’m not sure where to send my question so I’m sending it here. I’ve had the myflo app for about 5 months now. It is all messed up. It sends me notices that I am in my ovulation phase, menstrual phase and luteal phase all at once every other day. It will not let me enter my period start date for about 3 days after it has already started. I’m hoping you can help me out here. I like the app and the theory behind it, but I’m getting tired of getting multiple wrong notices everyday. Sorry this is happening! Please contact support@floliving.com for help – someone will help you reload this app! Thank you for these great articles! I am wondering if you can explore the topic of makeup. I have skin breakouts on my chin and jaw area, and I am working from the inside out- now that I’ma flo member! However, makeup is still something that I would like to wear even after I heal my skin using the protocol. I know that there are several natural makeup companies, and I did try one, however, I found that the makeup didn’t stay on long, and it got absorbed into the skin. I’ve watched your videos (your face looks beautiful!) Can you give us a list of makeup products that are good? I’m talking base- bronzer- blush- mascara- eye liner- eye shadow- lipstick-lip gloss….! Hope you can address this earlier than later! It would be so helpful!!! I know you’ve covered makeup once already, but maybe for a different season? And you covered summer hair care, but what about winter? I have dandruff. I am trying the conditioner your daughter uses and you used at the beach. I need a little more oil, I’ve been adding almond oil to my ends before I rinse the conditioner and it helps a lot. And the rahua curl cream is great. I need 4 pumps though, because I have tons of curly hair. And I would love to hear more about skin care routine, when to dry brush and using a thicker lotion in the winter or during certain parts of the cycle. I have dry skin. And when is the best time to exfoliate? Oh and if you do a cookbook, it would be awesome if you could put a note as to which part of the cycle is best to eat it in. Love listening to you on Facebook and your vitamins are great! ? Hello looking at your 4 day detox, what exactly is liver cleansing medley? Im vegan is there something i can substitute with if its actual liver? the cleanse is vegan! The liver cleansing medley is a salad – you can find all the details in the WomanCode book. You can also get a free download of the cleanse from the website.